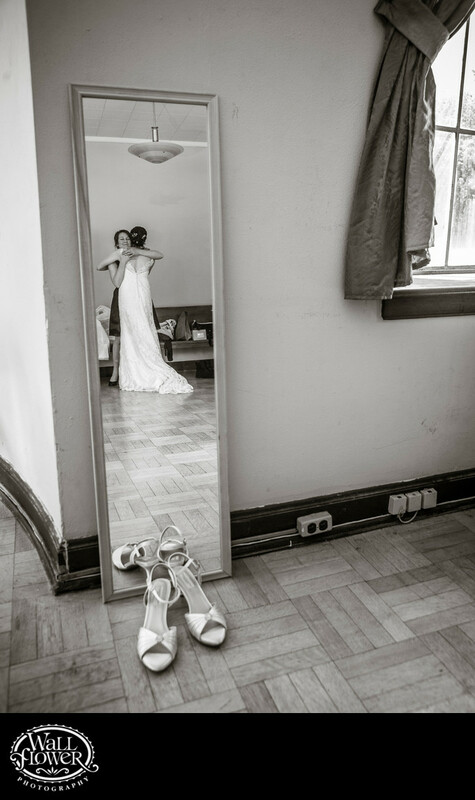 I had been keeping my eye on this mirror for some time, waiting for the perfect moment to capture the bride's reflection in it. I even moved those shoes in preparation. That moment arrived soon after she finished getting ready for her wedding ceremony in the Grotto at St. Edwards Park in Kirkland, Washington, when she gave her maid of honor a long hug. The bride told me later that this is one of her favorites out of many great photos from her wedding day.